Mixed opinions were given by the four assessors in the trial of the 14 people charged with sedition. This is after Lautoka High Court Judge Justice Sunil Sharma summed up the case yesterday. The 14 people are facing charges in the Nadroga sedition case. The group is alleged to have signed a document titled ‘Nadroga-Navosa Sovereign Christian State’, in 2014 with the alleged seditious intention of bringing in hatred or contempt or to excite disaffection against the State. 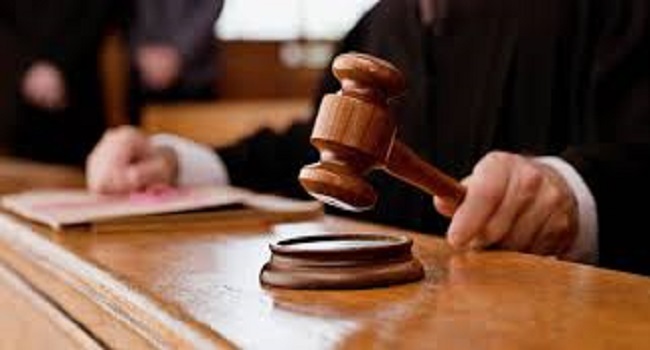 Ratu Inoke Tasere, Jimi Koroibete, Adi Cuvu Gavidi Atama, Ulaiasi Rabua Tuivono, Semi Tanikili, Mosese Navaci, Eroni Rikoriko, Alifereti Nakuinivou, and Jorama Ratulevu have all been found guilty on all counts by the assessors. Ratu Osea Bolawaqatabu, Adi Vasemaca Veikunekibulu Gonewai, Seru Kunalagi, Peniasi Naqau and Ratu Tevita Makutu were found not guilty on some of the counts by the assessors. 12 of the accused are being represented by Aman Ravindra Singh while Adi Cuvu is being represented by Sala Kunatuba and Naqau is represented by Filimoni Vosarogo.